They both have an “S” in the name, so it must make sense. Although they produce very similar horsepower figures, the Tesla Model S and TVR Tuscan S aren't really competitors. 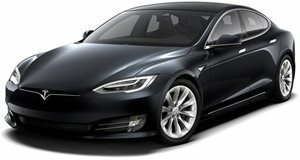 The Model S is popular among tech moguls and other well-off buyers who like a green image. TVRs are for people who don't mind being on fire all that much. So the decision to pit the two against each other in a drag race might seem like the answer to a question nobody is asking. Still, you're probably a bit curious. So check out the video below to see the results, even if they don't really make much of a difference at all.